As I go about housework, paper grading, errands, and child care, and the manly man goes about his very intense job in proprietary academia (how is that not an oxymoron?) and doing his part on the domestic and child care fronts, we are finding the opportunities to garden to be frustratingly scarce. In spite of these ordinary, daily demands, we are determined to make Rousseau’s garden work. That is why on Monday we were, as the song goes, gardening at night. Over the weekend, manly man hauled dozens of loads of dirt, and finished filling the beds. 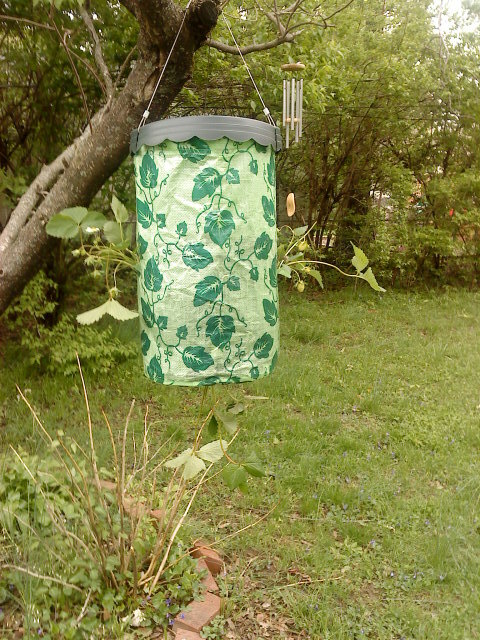 While he was doing that, I turned two of those hanging upside-down tomato planters into strawberry planters and put out lots of flowers. Since I can see the raised beds from my grading perch, just waiting to fulfill their destiny, the pressure finally got to me. 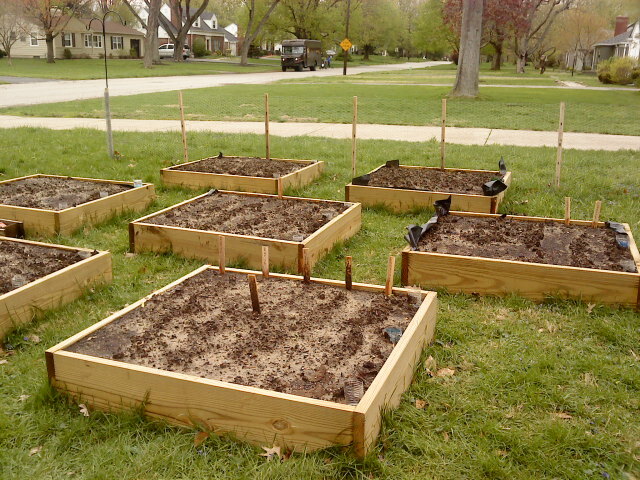 So, we spent Monday evening planting carrots, bell peppers, and radishes. We planted until we couldn’t see well enough to continue, and we now have 2 1/2 beds planted out of 7. P.S. Dramatic update!! Heavens to Mergatroyd, did we have a storm yesterday. Well, two storms, to be exact. The first one was early; the street flooded to the point that I couldn’t get my car out, and I got to watch other confident souls try and force their way through — some successful, some not so much. The second was late; the wind was very loud and the downpour, again, flooded the street. 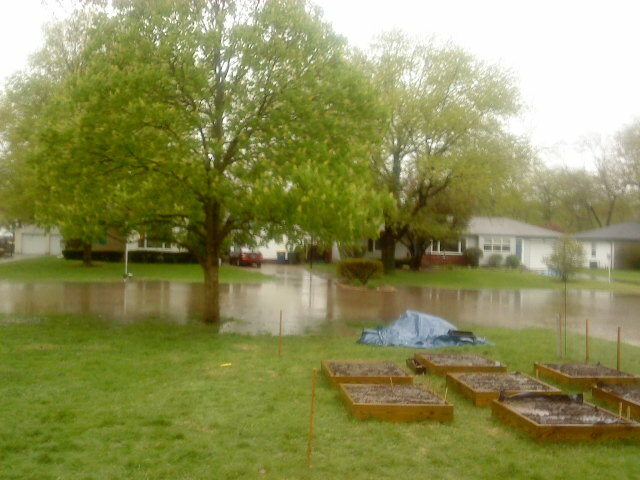 Our sump pump has had a strenuous workout, and our trees have been thinned for free. The good news is that the overflow drains that manly man installed in the beds worked! The not so good news is that our sad little starts are, shall we say, “resting.” Let’s hope they’re not in a coma. I was inspired to get my rear in gear on the hay, so my little guy and I drove west to a sweet organic farm and bought some hay that they were not going to use for feed. At only $1.50 a bale, the $15 I spent on gas seemed reasonable 🙂 Tomorrow I’ll cover our little green babies and give them the protection they deserve.